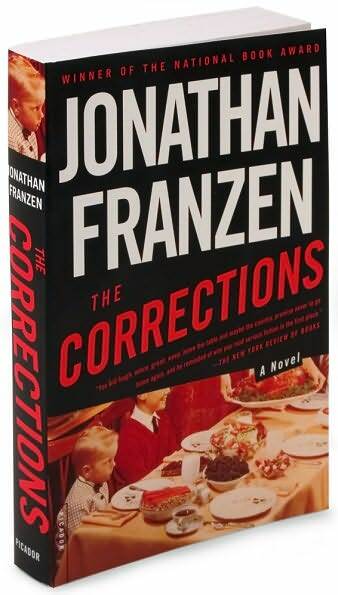 I somehow thought The Corrections by Jonathan Franzen was a pre-2000 novel. Otherwise I would, at the very least, have put it on my list of semi-finalists. I listened to this novel in my car, and I remember at least twice having to pull over because I was laughing so hard or, alternatively, just amazed or outraged…anyway, I loved it. 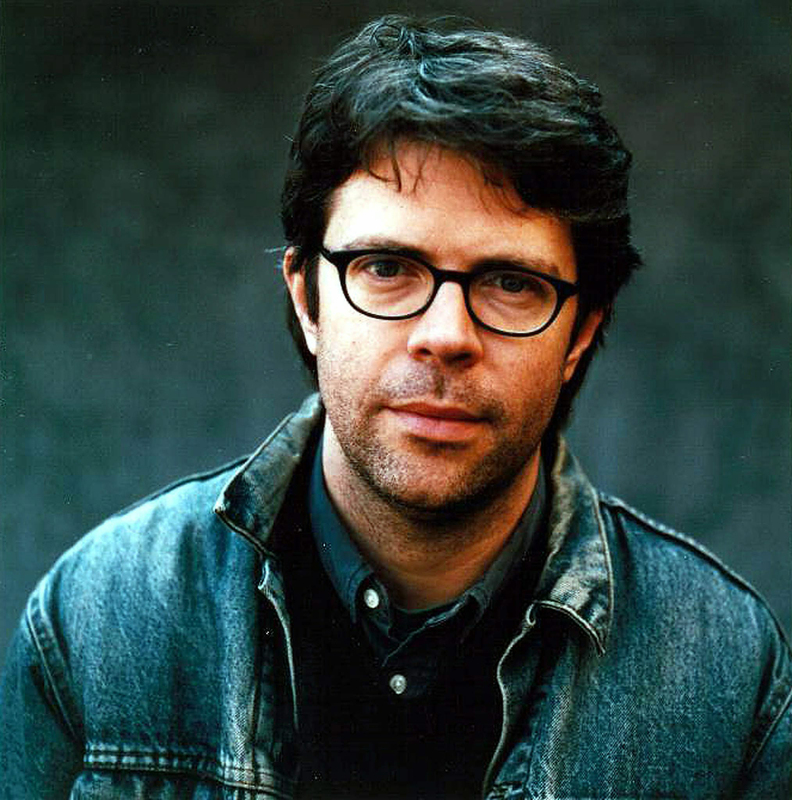 In a completely different vein, Franzen wrote this intensely moving essay about his father’s battle with Alzheimer’s. At this point in time, it’s a battle with uneven odds – the disease invariably wins, inflicting horrendous suffering on victim and family alike. It happened to us. The victims were my mother, the sufferer; we three children; and most of all, my father, whom she deserted through no fault of her own when he most needed her. Dad died in 2000. My mother continued on, pointlessly, for another four years. 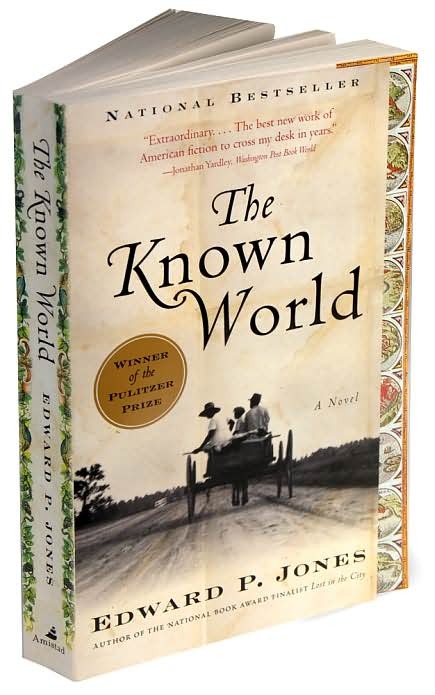 I listened to The Known World and found it absorbing but not consistently engaging. IMHO, Edward P. Jones’s true gifts are best displayed in the short story form, particularly in Lost in the City. 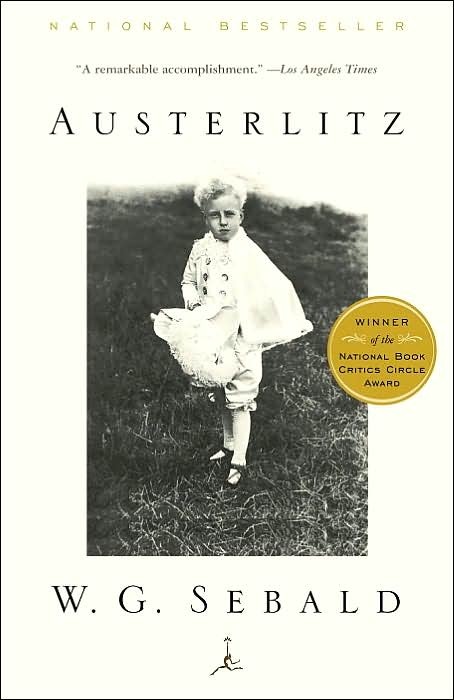 I have not read Austerlitz by W.G. 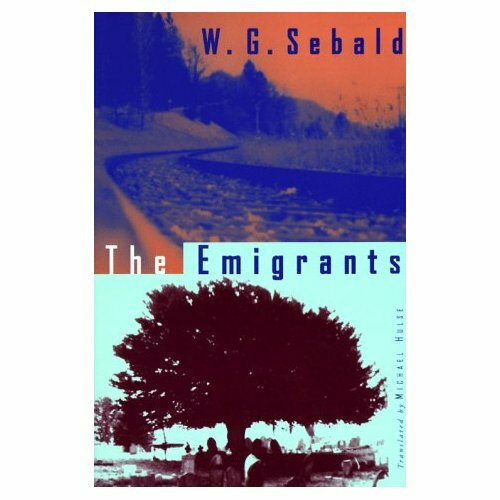 Sebald, but I found the stories in The Emigrants extremely compelling, the first story, “Dr. Henry Selwyn,” especially so. 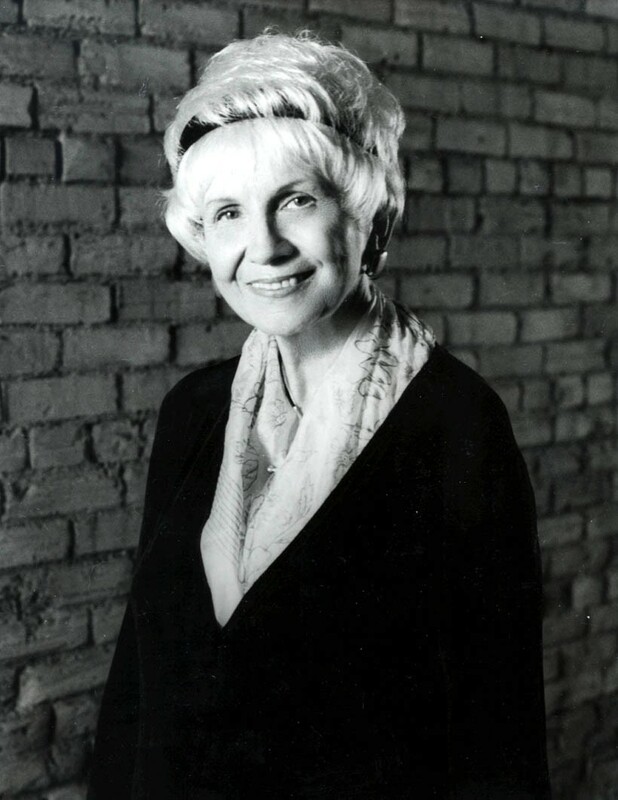 I wanted to include an Alice Munro title on my list. Either the collection the panel chose, or the one selected by the readers. I devour her stories; they are superb. Generally speaking, I am a big fan of Ian McEwan’s writing. I liked Atonement, but not as much as several of his other titles, such as Saturday and Enduring Love. 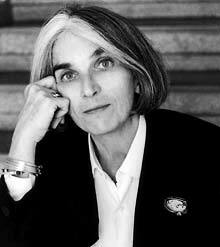 Gilead by Marilynne Robinson made both lists. 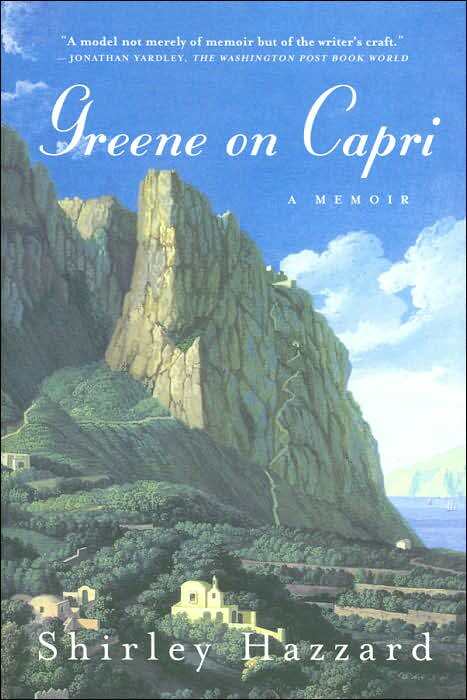 Robinsons’ writing is, at times, quite gorgeous, but I have to work to get through her books. Anyway, I liked Home better than Gilead. As for Mortals by Norman Rush, I got about a third of the way through and had to throw in the towel. I loved Remains of the Day by Kazuo Ishiguro, but I didn’t care for Never Let Me Go and didn’t finish it. My annoyance with that novel may be due to a personal animus toward works dealing with a dystopian future – or any kind of future, for that matter. I prefer fiction set in the present or the past. 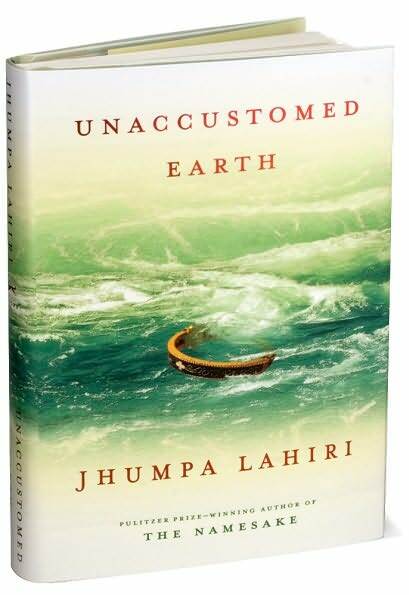 I was glad to see Unaccustomed Earth on the Readers’ list of selections – and not just because it was the only title on my list of five to be mentioned in either place. In the comment section, Marie states: “I was so happy to see that Readers included Jhumpa Lahiri after a snubbing by the panel.” Here here. Finally, I just have to ask: where is the crime fiction? 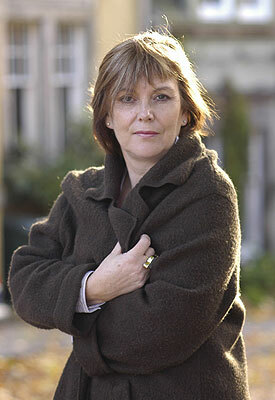 No Reginald Hill, Kate Atkinson, Ruth Rendell, P.D. 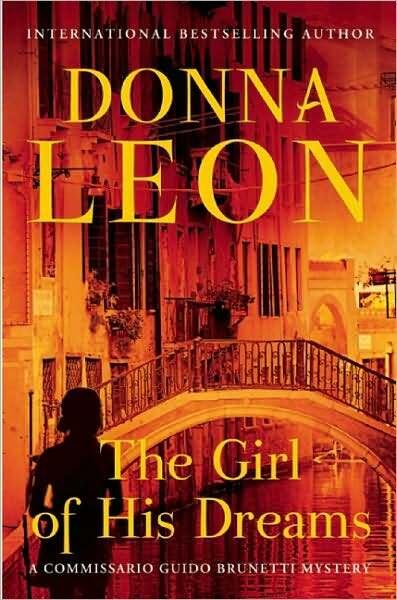 James, Donna Leon, Karin Fossum, Alexander McCall Smith? IMHO, they are among the finest writers at work today. I can be opinionated, I know, but I think – I hope! – I can also be open-minded. So, in that spirit, recommendations are welcome. So I get an e-mail from The Millions, asking me to name the five best fiction titles I’ve read since the new millennium. I ignored the request for as long as I could. Then I got prodded again, informed that the deadline was fast approaching, and would I mind awfully responding to this request? 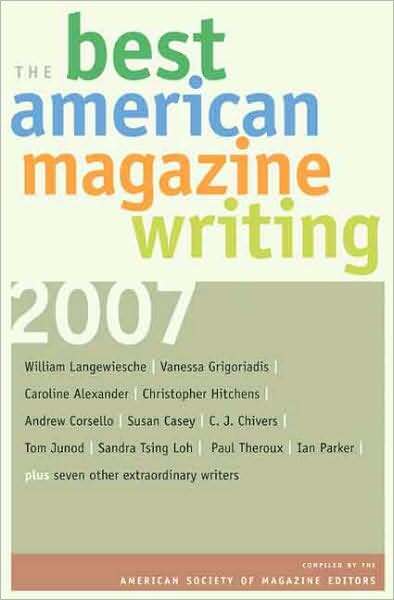 I began by looking at my yearly “Best of” compilations on this blog, and at older lists that I’ve archived in hard copy. I was facing, as you can well imagine, a challenging task. 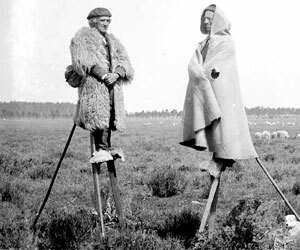 ***review*** – actually I did more than one post on this astounding book, which introduced me to, among other wonders, French people on stilts: . 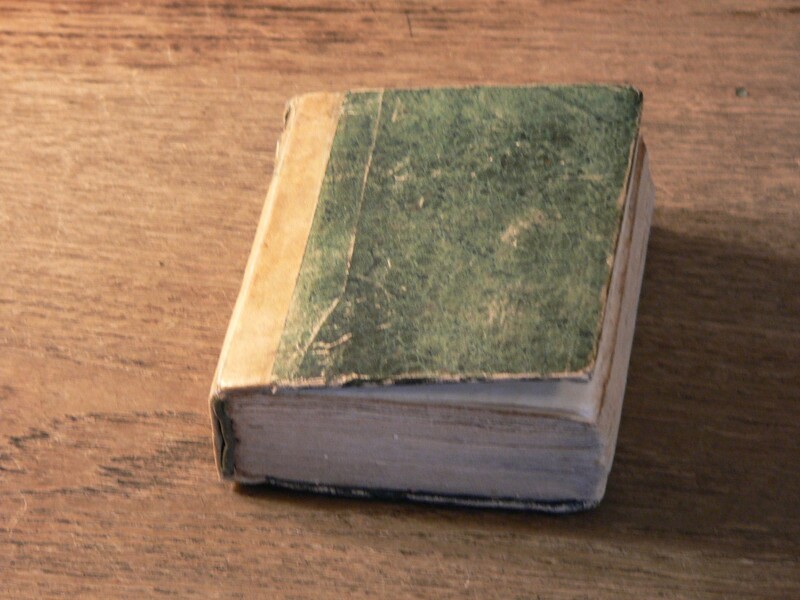 Equally amazing was the discovery, in the pages of Robb’s chronicle, of a connection between one Madame de Genlis (1746-1830) and a small, very old, overlooked volume on my own bookshelf: . 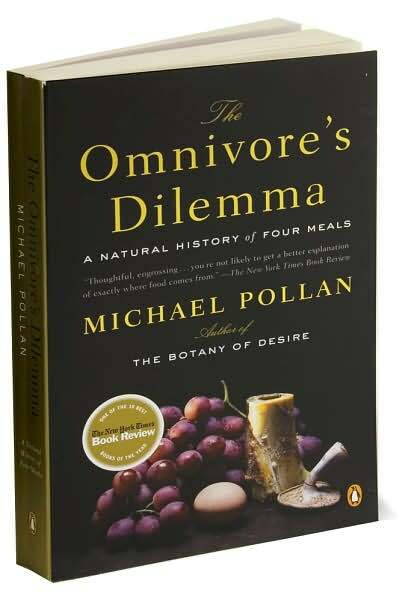 Food is ordinarily my least favorite subject for either reading or conversation. 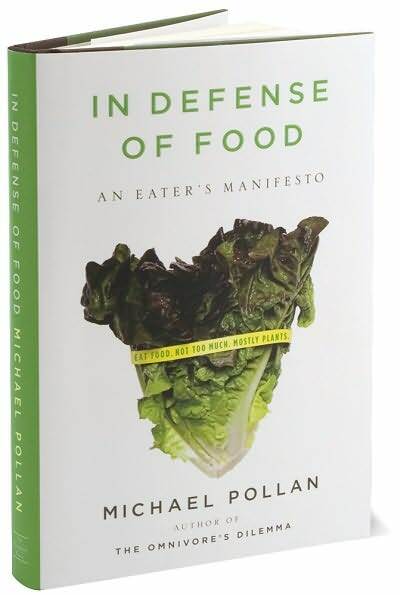 But Michael Pollan offers some revelatory insights on the subject; in addition, he writes with wit and brio. 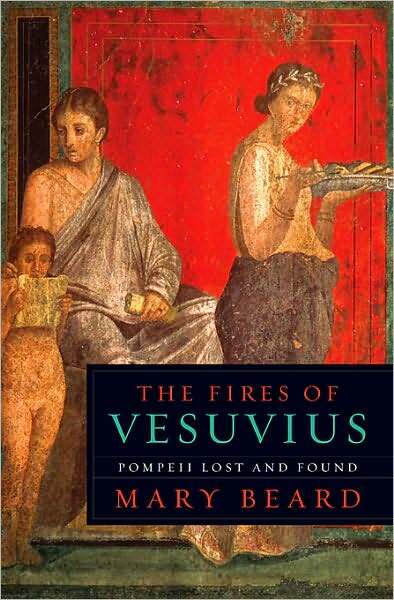 and its companion volume, which I reviewed: . All of the essays in this collection are excellent; several are extraordinarily powerful. I was horrified and outraged by Susan Casey’s “Our Oceans Are Turning into Plastic…Are We?” and fascinated by Caroline Alexander’s portrait of mountaineer Reinhold Messner. 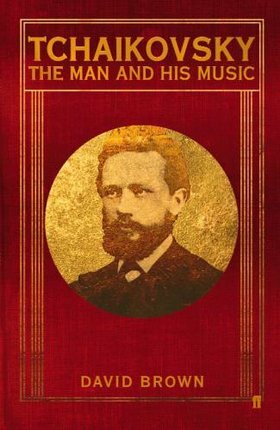 Alex Ross, whose writing about music is superb, wowed me yet again with his analysis of the miracle that is Mozart’s music. And Eric Konigsburg’s “Praire Fire” will haunt me forever. 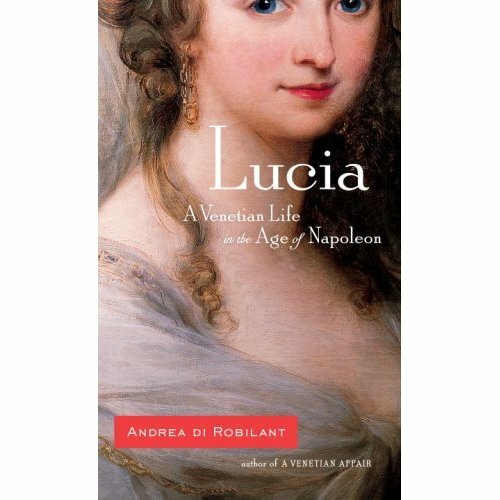 I treasure the two histories artfully woven by Italian journalist Andrea di Robilant from the cloth of his own history: . If you’re looking for a love story with the resonance of Romeo and Juliet, look no further than A Venetian Affair. 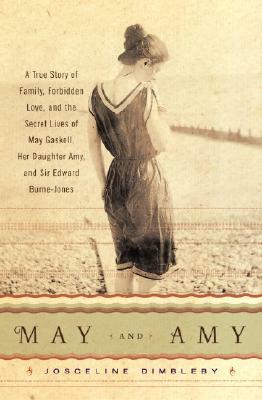 Like Andrea di Robilant, Josceline Dimbleby reaches into her own past to tell the poignant story of May and Amy Gaskell. This is the kind of quintessential English story that I am continually seeking. The fact of this book’s strange synergy with Penelope Lively’s novel The Photograph only adds to its intrigue and fascination. At this point, there are four biographies I’d like to mention. 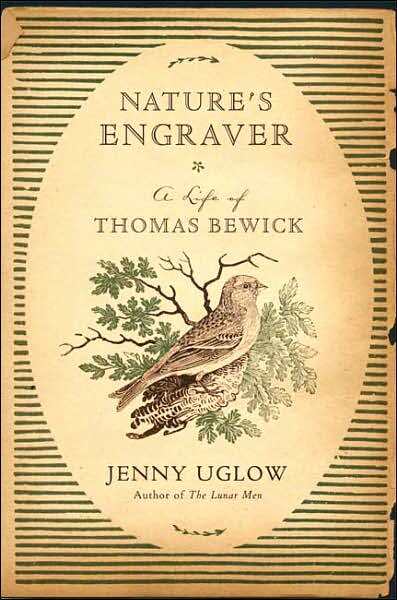 Jenny Uglow’s Nature’s Engraver introduced me to Thomas Bewick, an artist of whom I had not previously heard. One of the joys of this book lies in the in which Uglow recreates Bewick’s world, in a way that only the best historians can do. 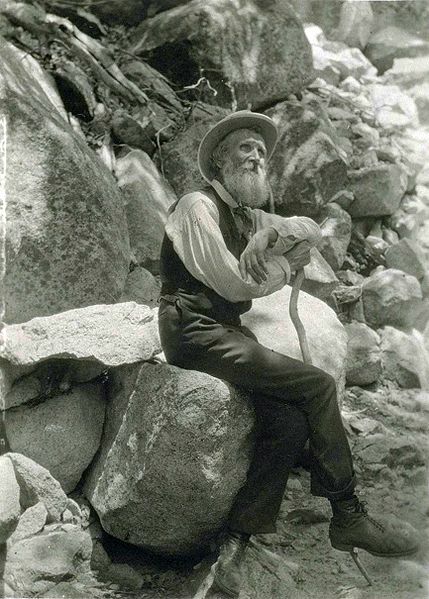 John Muir’s name is being heard rather frequently at present, with Ken Burns’s documentary series on the national parks about to be shown on public television. 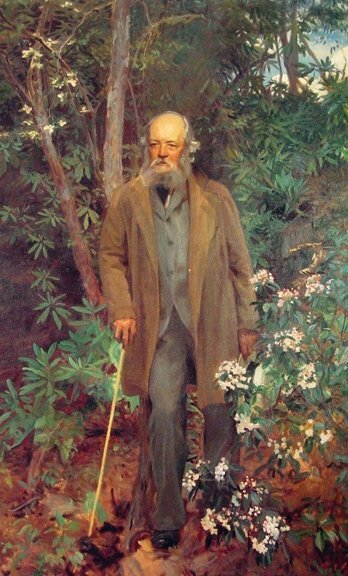 If you want to know more about this great man’s eventful life and tremendous achievements, look no further than Worster’s superb volume. 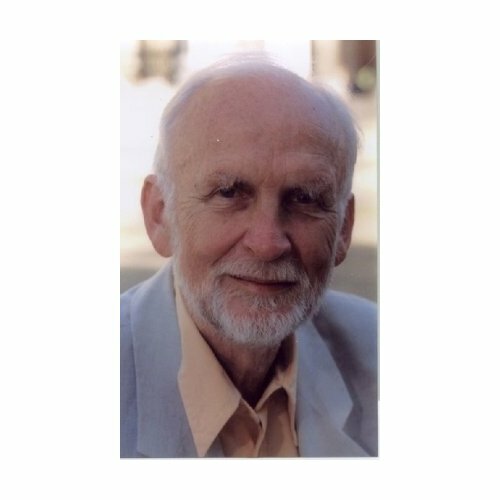 I’m going to slip a 1999 biography in here, since it pairs so well with Worster’s book: Like Donald Worster, Witold Rybczynski gives us a meticulous yet leisurely examination of a life of consequence. In the process, an entire world is recreated. 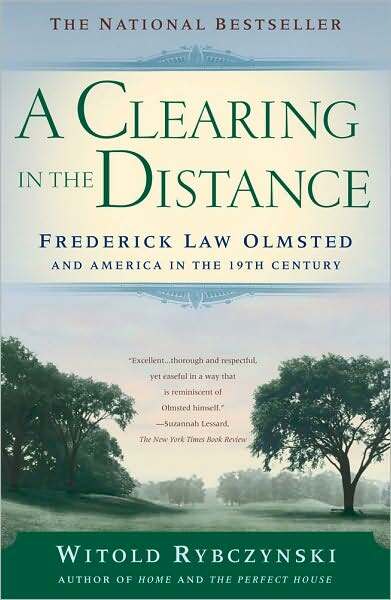 One thing that fascinated me in particular was the story of Olmsted’s travels in the antebellum South. He recorded his observations, and they include his Northerner’s incredulity that such a way of life could not only exist but could be taken for granted as right and normal. At any rate – outstanding biographies of two great men. I have given them both as gifts to my brother, who has a deep and abiding interest in American history. 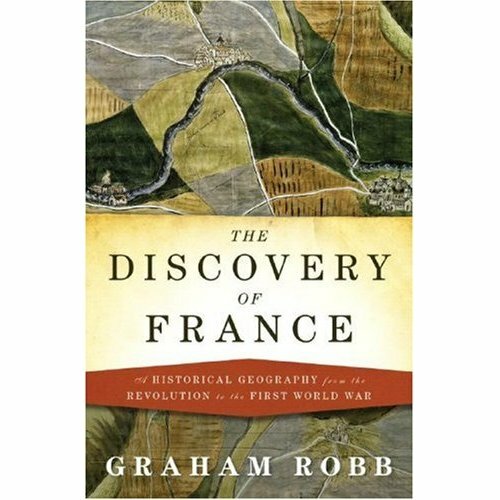 Finally, there is this book: . 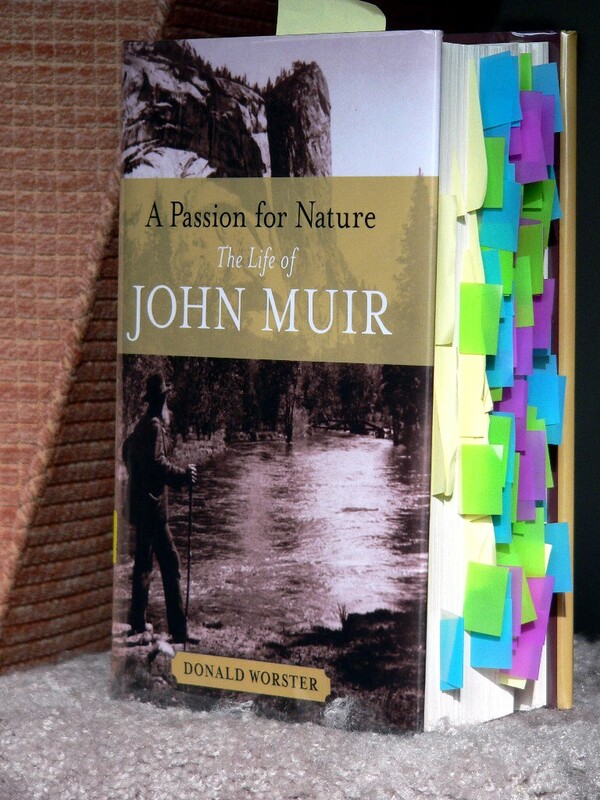 It may be a cliche to say a book changed your life, but – this book changed my life. 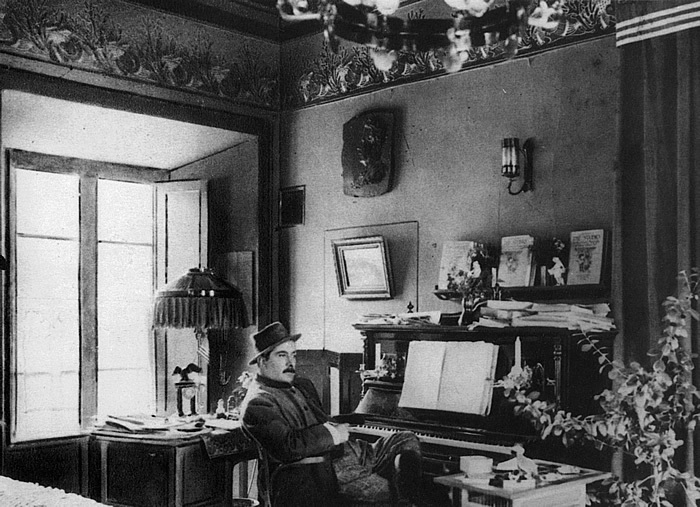 As I read about the composer’s childhood and youth, the grandeur and mystery of nineteenth century Russia rose up before me; it became a world that was almost more real than the one I was actually in. 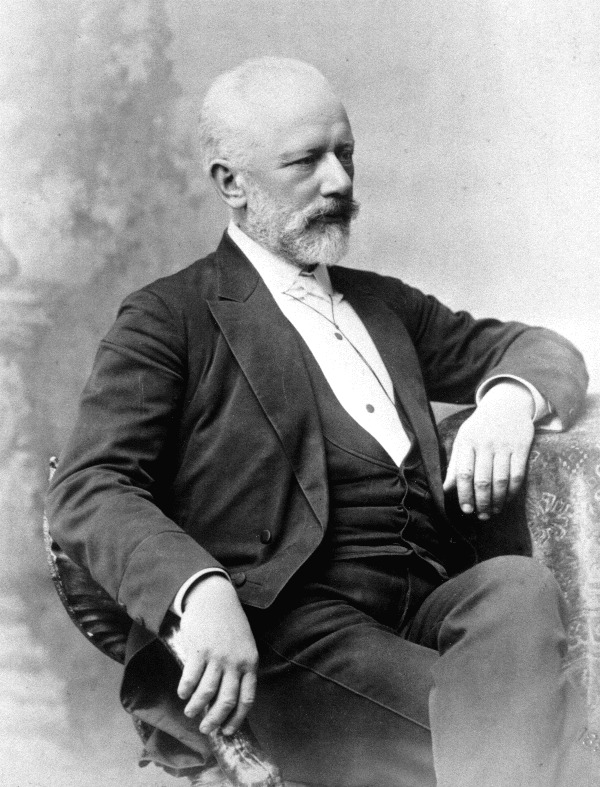 And then the music…I’ve always loved Tchaikovsky, but I began to hear his works in a new way, especially the symphonies. And for the first time I became acquainted with the magical Suites Number One and Two for Orchestra, courtesy of my husband, who is so expert at ferreting out the world’s hidden musical treasures. “I want it, I want it!” – few things in life can ever top Bernstein when he’s in full showmanship mode. 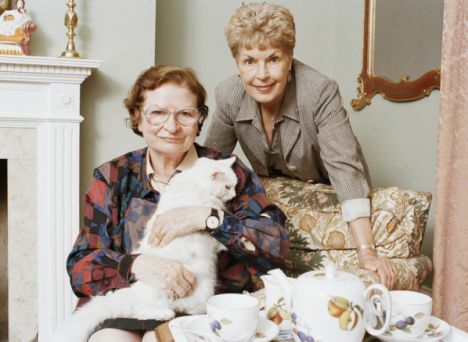 As these young people attained adulthood, they probably realized that their teacher meant a particular kind of wanting, more accurately, I think, called yearning: for love, for a meaningful life, for reassurance as the end of that life draws near. I was supposed to be writing about fiction, right? Ah well…there are many more nonfiction titles that I could mention here, but it really is time to move on. My original list of fiction titles from which to cull my five favorites numbered twenty-eight. I made no distinction between novels and story collections, or “literary” fiction and crime fiction. I found that I was doing battle with myself on several fronts. While I wanted to name authors that I feel deserve more recognition, I believed equally that I should try to evaluate each title on its merits, whether or not the author were already well known. I wanted to make sure that at least one title from my favorite genre made the cut, but again, I didn’t want to include such a title solely for that reason. No worries on that score, really; I’ve read plenty of terrific crime fiction since 2000. Lack of coherent structure is one of my chief complaints concerning contemporary fiction. 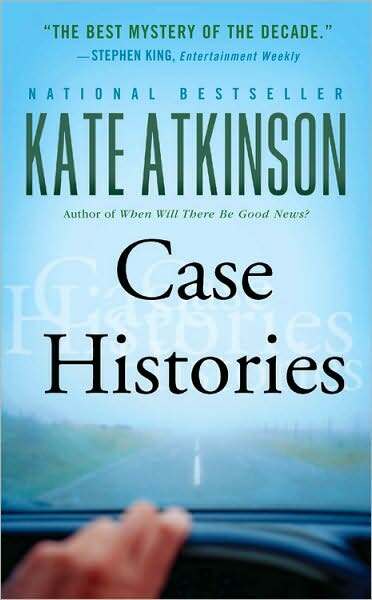 Case Histories, on the other hand, is one of the most elegantly structured modern novels I’ve read. In addition, Atkinson made me laugh out loud – that is, when I didn’t feel like weeping. The two story collections could not be more different from each other, yet both, in their uniqueness, are superb. I reviewed the Lahiri at some length in this space; the Silber, more briefly. When asked to select a book and lead the discussion in January for my friends in AAUW, I was torn between these two titles. 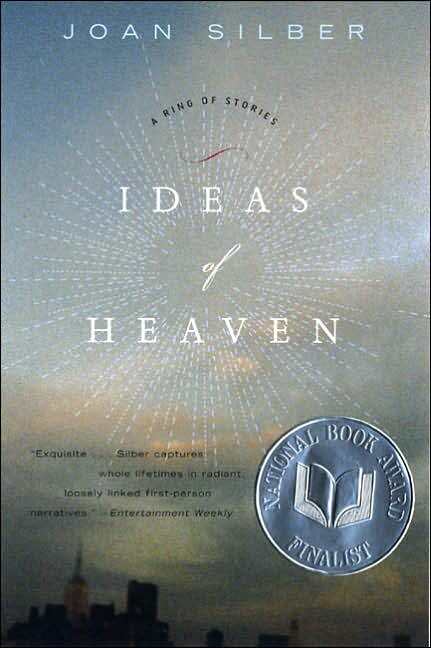 Ideas of Heaven had a slight edge because of its stunning variety of subject matter. I look forward to re-reading it. 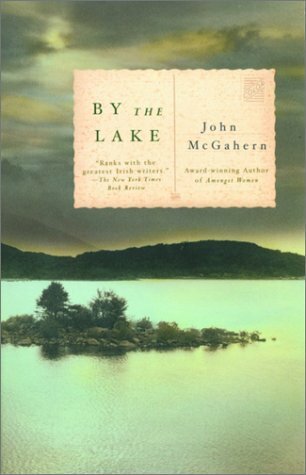 John McGahern’s gorgeously written novel is in a class by itself. By the Lake plumbs the human condition so deeply that it breaks through to a kind of eternal truth; namely, that certain rites of daily life confer a kind of holiness and immortality on those who are caught up in them. I began my e-mail to Max of The Millions (Maximilian?) with the sentence: “This is excruciating!” For one thing, there were numerous titles that I consider to be on a par with the above five. Among them: The Careful Use of Compliments and The Miracle at Speedy Motors by Alexander McCall Smith, The Northern Clemency by Philip Hensher, The Housekeeper and the Professor by Yoko Ogawa, To Heaven By Water by Justin Cartwright, Saturday by Ian McEwan, Digging To America by Anne Tyler, The Shadow of the Wind by Carlos Ruiz Zafon, The Other Side of You by Salley Vickers, Intuition by Allegra Goodman, The House on Fortune Street by Margot Livesey, The Girl of His Dreams by Donna Leon, Both Ways Is the Only Way I Want It by Maile Meloy… and on and on. It’s ridiculous, as you can plainly see. The exercise was enjoyable, if a bit masochistic! 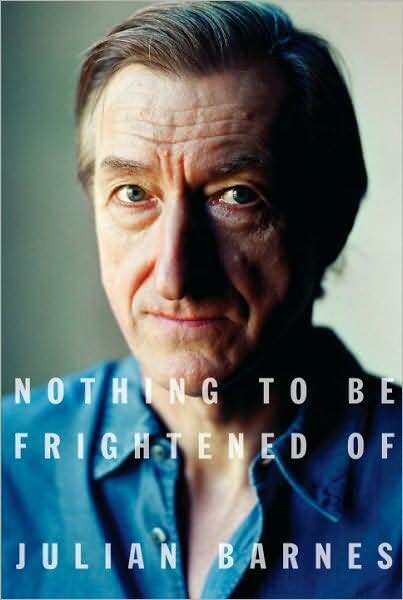 And speaking of Peter Turnbull – which I do, at every opportunity – another link to the above review was provided by Donna at Big Beat from Badsville. I was delighted to discover this blog, which focuses with energy and enthusiasm on Scottish crime fiction. Shelf Love: I deeply appreciate the sentiments expressed by Teresa concerning a passion for reading. Needless to say – but I’ll say it anyway – I share them wholeheartedly. If you scroll further down the lovely Sunday Salon post, you’ll find “Notes from the Reading Life.” Under “Books To Remember,” Teresa cites my review of Zeitoun. Teresa has also linked to Jonathan Veitch’s convocation address at Occidental College. It is well worth reading. In July, artist Nancy Moksovitz recommended The Gardner Heist by Ulrich Boser. She also linked to my review of that fascinating chronicle. Once again- thanks to the bloggers who have recently linked to Books to the Ceiling. As I’ve mentioned before, writing this blog has proved to be much harder and more challenging than I had originally anticipated, so it is very rewarding to receive praise and recognition, especially from those who are themselves gifted and perceptive writers. In recent weeks, a number of bloggers have graciously linked to posts on Books to the Ceiling. I would like to return the compliment. I’ve been reading and enjoying Booksplease for quite a while now. Margaret’s reviews and comments are always worth reading, and she writes beautifully. 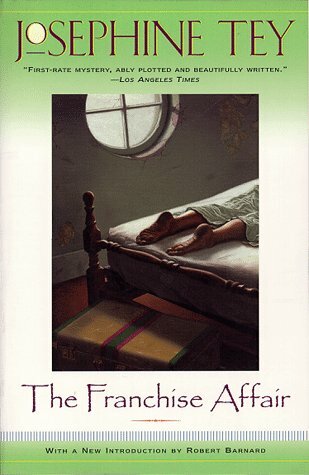 In a post dated July 14, she mentions that she checked Peter Robinson’s A Strange Affair out of her local library as per my recommendation. I love Nan’s blog, Letters from a Hill Farm! Of course you do, you may well retort – she likes all the same authors you do! Yep – she does – a woman of rare discernment, I’d say. Nan’s blog also features lots of recipes (often for just the kind of delicacies I can no longer eat, alas) and great photos and video clips. It is a very enjoyable place to hang out. 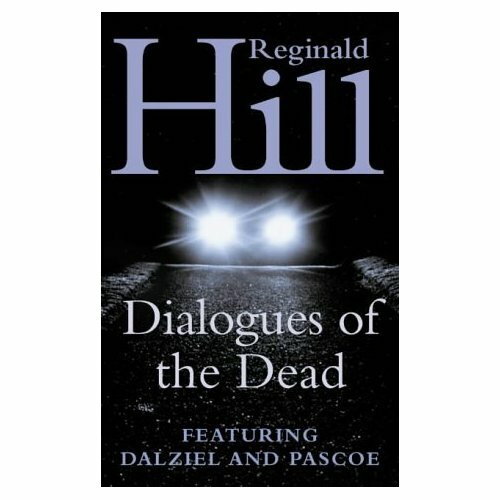 Earlier this month, Nan posted a review of An April Shroud, the fourth entry in Reginald Hill’s Dalziel & Pascoe series. I like the way she describes herself as being “powerless” over this extraordinary series of crime novels; I feel the same way about them. When I realized that this is the book in which Ellie and Peter get married, I got online and ordered it immediately. 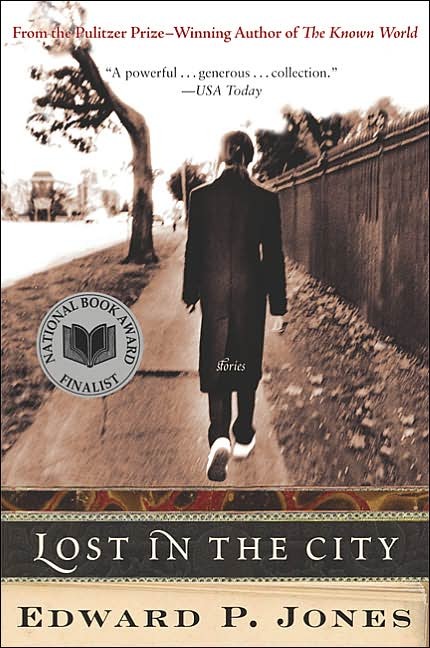 I came to this series with Bones and Silence, the 1990 title that won the Gold Dagger. By then, the series had already been running for twenty years. I wasn’t sure if I could read the older novels with the same degree of enjoyment that I’ve experienced with the later ones, but I read A Ruling Passion (1973) two years ago and loved it. 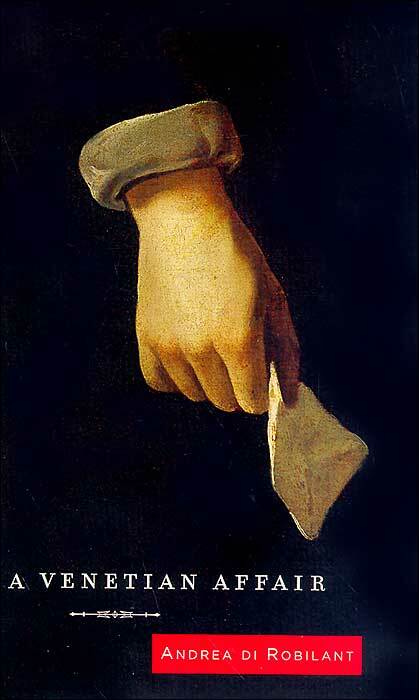 Now – on to An April Shroud. Bless the good folks at Felony & Mayhem for reprinting these titles. At the conclusion of her review of An April Shroud, Nan linked to my recent post on this fine small press. One other thing about Justin: here’s his picture: . 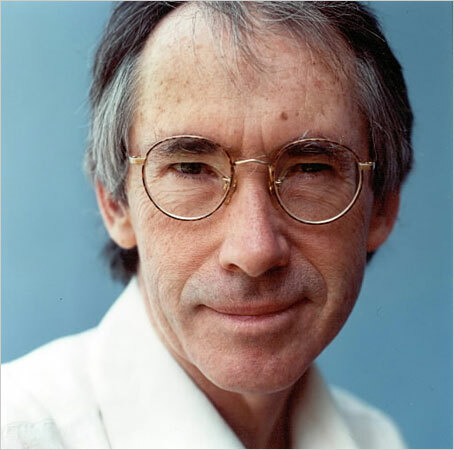 Is it just me, or is there a slight resemblance to Ian McEwan…? I have more bloggers to thank, but I’ve run out of juice for now, so – more to come! This past July, I had the pleasure of presenting The Art of the Mystery at the Glenwood Branch of the Howard County Library. 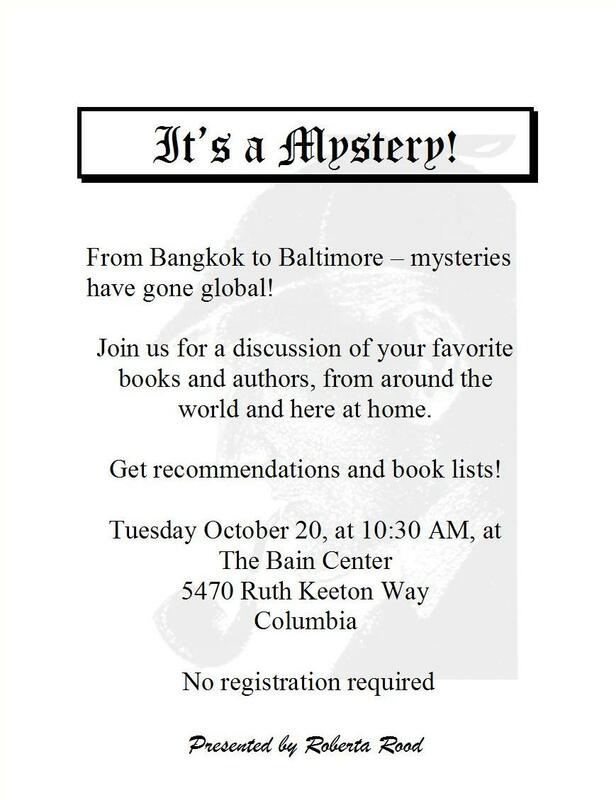 Next month, I’ll be presenting It’s A Mystery! at The Bain Center in Columbia. This too is a library program. This time I am going to emphasis the function of setting in crime fiction. My efforts have been greatly aided by G.J. Demko’s thoughts on the subject. 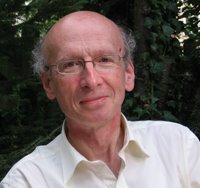 Demko, an emeritus professor at Dartmouth, has posted his highly engaging essays on a site called Landscapes of Crime. 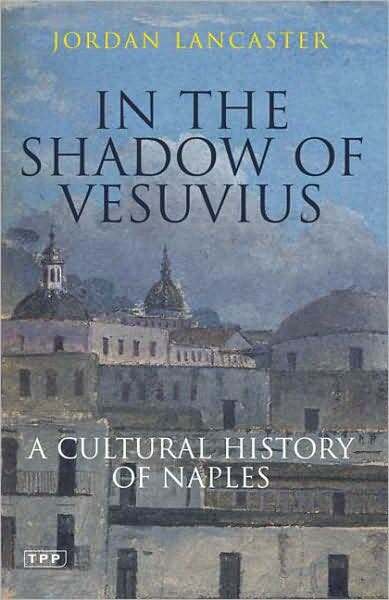 And I read Shirley Hazzard’s wonderful memoir: I was about half way through Jordan Lancaster’s fascinating history of Naples when we took off: . It was one of the two “perfect books” that came with me on this memorable journey, the other being – and you were wondering when I’d get to this! – a mystery: . 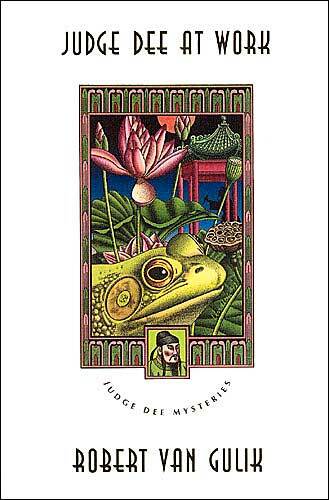 Michael Dibdin, whom we lost most prematurely in 2007, wrote the Aurelio Zen series, which I always enjoyed. Zen turns up in various Italian locales; in Cosi Fan Tutti, he is smack in the middle of Naples and engaged in a hilarious Keystone cops type of scenario involving organized crime, jealous lovers, covetous older women, and lots more. 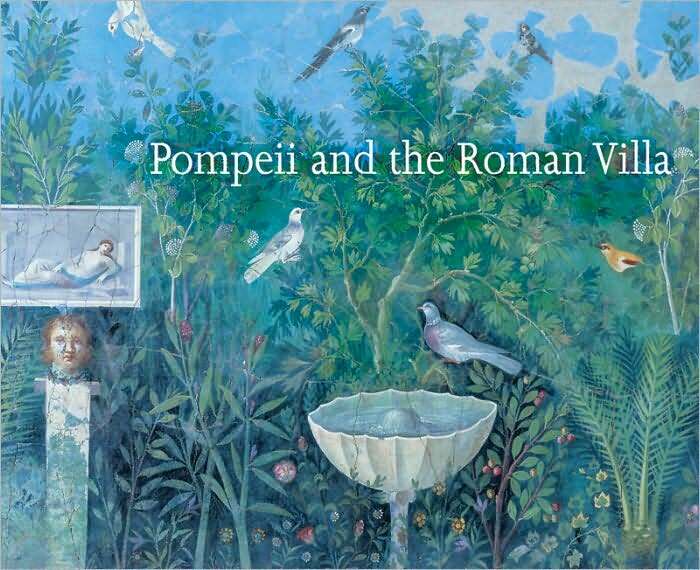 The proceedings are all the more entertaining for Zen’s deep knowledge of the Neapolitan landscape – and the Neapolitan underworld. But what if you’re not going to Italy? Well, then I have only two words for you: Why not?? Just kidding ( sort of) – there are ways to find mysteries set just about anywhere. Wheredunnit is one of the most comprehensive sources; Eurocrime also does a great job. I’m partial to the “Location Index” on Stop You’re Killing Me because of its precise breakdown of places within the United Kingdom (click on “British Isles;” select “England – excluding London”). 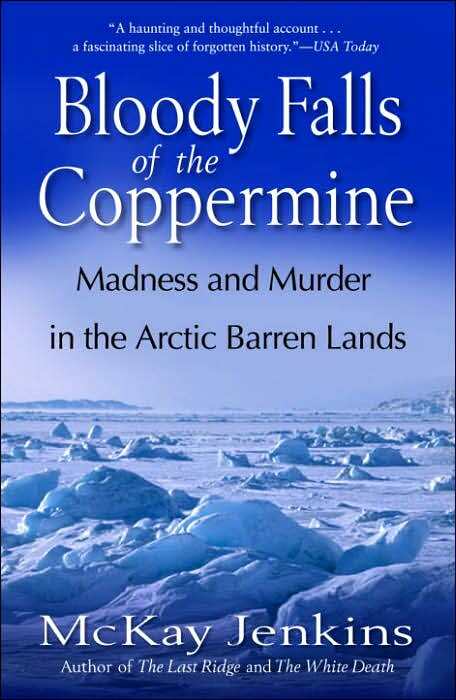 There are sites and blogs dedicated to mysteries set in a particular country or region. One that I recently discovered that’s devoted to Scottish crime fiction is Big Beat from Badsville. 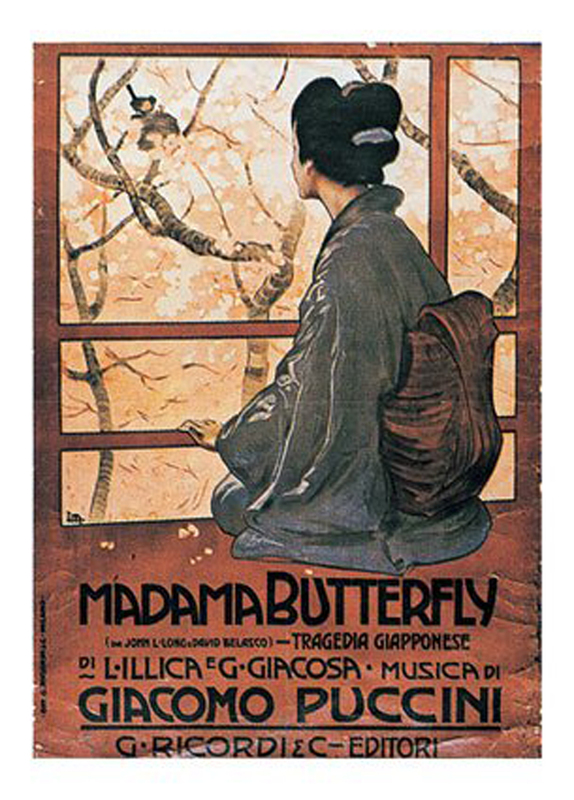 There’s also a Scandinavian Crime Fiction Blog and a site devoted to Italian Mysteries. 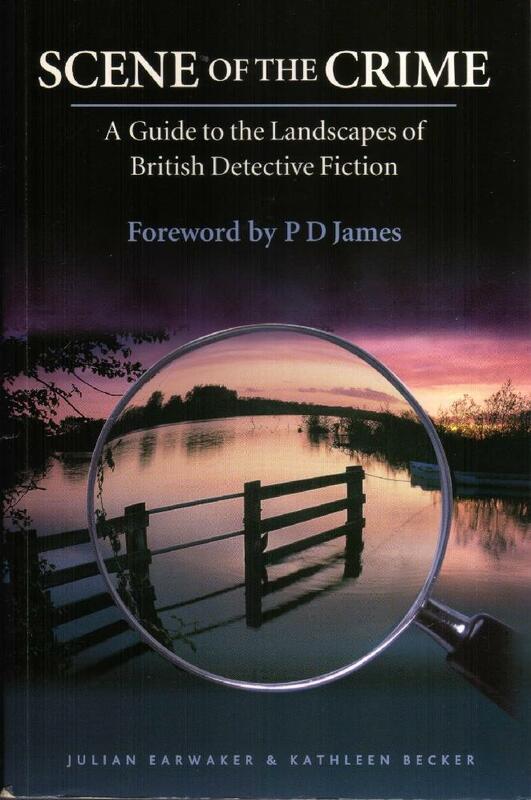 I also recommend Detectives Without Borders: A Forum for International Crime Fiction. So – with regard to the October 20th presentation, have I given the game away? By no means! There will be a new book list, new titles to talk about, and yet another chance to exchange views and recommendations with fellow mystery lovers. 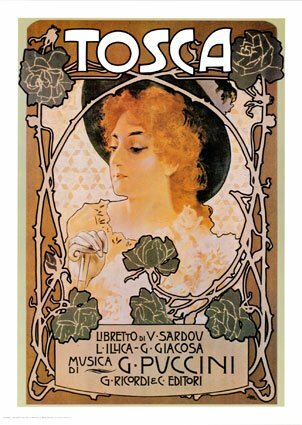 A group of us are planning to see the Metropolitan Opera’s HD broadcast of Tosca next month. I am really excited about this! 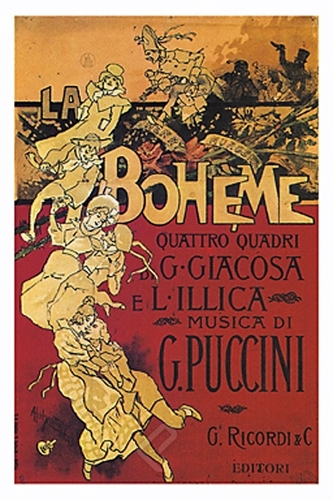 Tosca possesses in abundance the two elements critical to any great opera: high drama and gorgeous music. Here is a summary of the plot from a site I just discovered called Music with Ease. 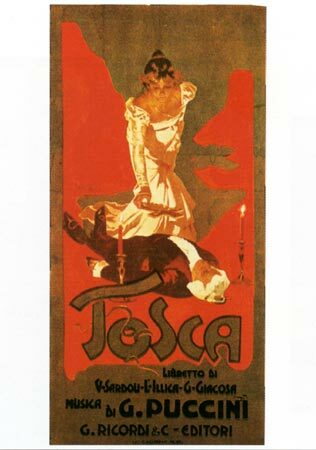 Tosca features three arias that are justly famous: Recondita armonia and E lucevan le stelle, sung by Mario Cavaradossi, and Vissi d’arte, sung by Floria Tosca. These events are broadcast in HD all over the country, both live and as encores. They are, in fact, broadcast all over the world! 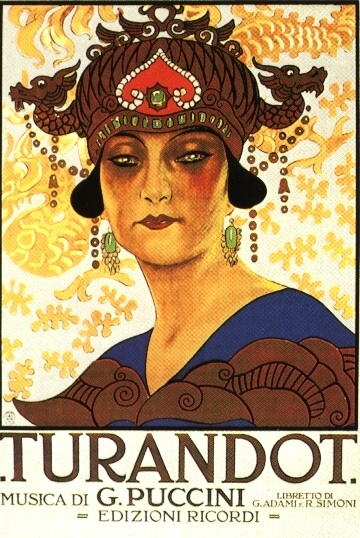 At the front of her novel Puccini’s Ghosts, Morag Joss placed a quotation from a review (in the Daily Express, June 8, 1927) of Turandot. 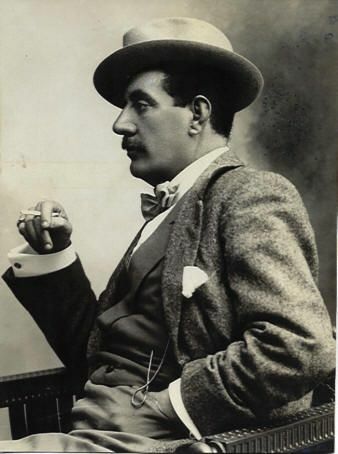 The performance took place at Covent Garden a scant three years after Puccini’s death. Let me tell you about this book: during the entire second half of it, I was in a state of utter disbelief and rage! I’ve since calmed down, but if reading about the nightmare scenario described by Dave Eggers got me that angry, I hate to think of how the people forced to endure the experience actually felt. People like Kathy and Abdulrahman Zeitoun. Like most Americans, I was saturated with news of New Orleans and Katrina around this time four years ago. I read about the convention center and the Superdome, the pollution and the destruction, the deaths and the displacements. I also heard tales of lawlessness, but I assumed that this was more or less par for the course in the chaos that followed the hurricane. Often, in the wake of a catastrophe like Katrina, there is a period of civil disorder. I assumed that this period would be short lived. I didn’t consider crime to be a major part of the story. Crime is a huge component in the story what happened to the Zeitouns, not because they committed it but because of what was done to them. Kathy and Abdulrahman Zeitoun ran (and still run) Zeitoun A. Painting Contractor LLC, an extremely successful home repair and renovation business. Their work was known and respected throughout New Orleans. They were upright and compassionate in their dealings with their employees and their clients. 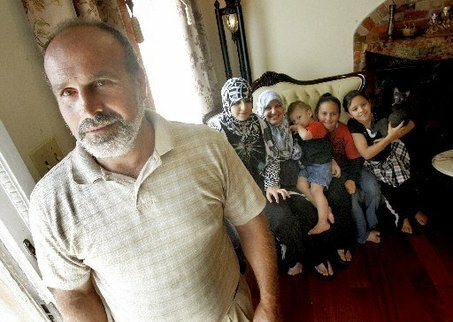 Abdulrahman, a Syrian by birth and a Muslim, came from a large and loving family; Kathy, whose brief first marriage had ended in divorce, was a convert to Islam. At the time Katrina struck, they had four children; the oldest, Zachary, was Kathy’s son by her first husband. 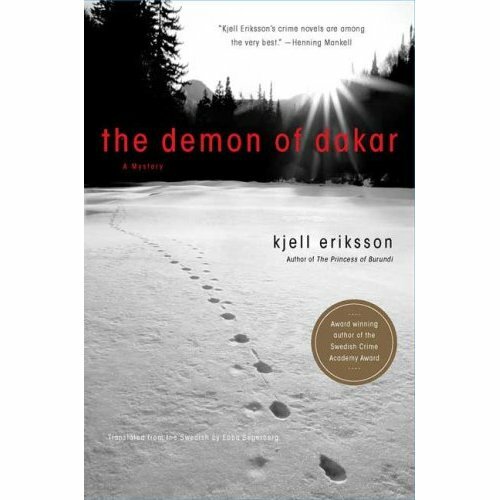 I was not far into this book when I began to care deeply for these people; and to feel an anxiety on their behalf which, in the event, proved more than justified. When Katrina began bearing down on New Orleans, Kathy and Zeitoun – he was called that by friends and clients who had trouble pronouncing his first name – faced an agonizing choice. They knew they should leave, but they felt responsible for their various rental properties and jobs in progress. There was the office to look after, and even more important, their home on Dart Street. With some reluctance, they decide that Kathy and the children would go to Baton Rouge and stay with family there, while Zeitoun remained behind in New Orleans. Then, they reasoned, either Kathy would return or Zeitoun would join the family in Baton Rouge. They were counting on the separation lasting no more than a couple of days. Several years prior, Zeitoun had bought secondhand canoe, a standard aluminum model that a client no longer wanted. When he arrived home with his purchase tied to the top of his van, Kathy took one look and exclaimed: “You’re crazy.” But in the first few days after Katrina struck, the canoe proved to be a Godsend. Zeitoun rescued, or arranged for the rescue of, several elderly persons stranded by high water on the upper floors of their houses. He also rowed to homes where dogs had been abandoned in order to feed and water the animals. If you have already read about Zeitoun, you’ll know what transpires at this point in the narrative. I did not know, so for me, the impact of the story was that much more profound. I will say no more, except for this: Dave Eggers is directing all the proceeds from the sale of this book to the Zeitoun Foundation, which he and the Zeitoun family set up this year. This gesture on the part of the author is, I think, admirable and generous. (It reminds me of one made by Jon Krakauer in similar circumstances.) 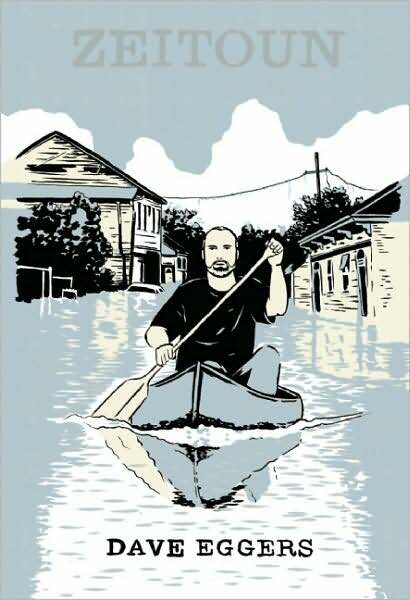 So by all means read Zeitoun – and consider purchasing the book as well! I have never been to New Orleans. This chronicle of devastation and rebirth has made me want to go there. 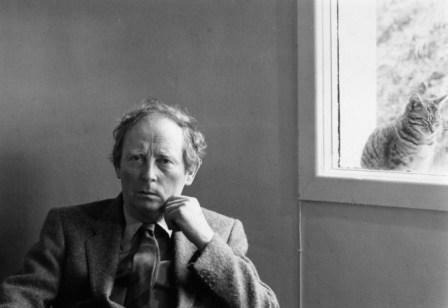 Guy Haines, an architect, meets Charles Anthony Bruno by chance on a rail journey. Bruno is one of those aggressively friendly people that are often hard to deflect. Although Guy resists, their conversation becomes intensely personal. Gradually, Bruno elicits from Guy the facts concerning his wrecked marriage and his difficulties in obtaining a divorce. For his part, Bruno’s revelation is simpler and more direct: he feels an implacable hatred for his father. “Guy had at last thought of the door. He went out and opened another door onto the platform where the cooler air smashed him like a reprimand and the train’s voice rose to an upbraiding blare. He added his own curses of himself to the wind and the train, and longed to be sick. What exactly is happening here? At this point, Guy has no cause to reproach himself. Yet the words “reprimand” and “upbraiding” suggest that he is already guilty of some kind of transgression. Could it be that he finds that Bruno’s plan, so outrageous and evil on the face of it, also possesses elements that make it intriguing, even attractive? When Guy curses himself, is he acknowledging that attraction, and feeling mortified by it? At any rate, Guy has only one more night on the train. The next morning he alights in Metcalf, Texas, his home town, to see his mother and to confront Miriam. For the moment, these other concerns drive Bruno from his thoughts. But it turns out that this is a brief respite. Bruno is not so easily dismissed from Guy’s thoughts – or from his life. There is a sense, even from the novel’s beginning, that Guy is poised on a knife edge. Although he sees a way to break through to a radiant life, he has been sullied by Miriam’s crassness and bad behavior. At this point Anne, alarmed and dismayed by this tirade, begs him to stop. He does, but not before admitting that “‘the fact that I once loved her…loved all of it, makes me ill.'” Guy desperately wants and needs to be rid of Miriam, and not just so he’ll be free to marry Anne. Miriam was like a disease that Guy must expunge from his body and soul in order to feel himself cleansed of sinfulness. Yes, he needs to be rid of her. But not in the way that Bruno envisions. Bruno, though, has fixed his mind on killing Miriam. He know the act will bind Guy to him. And it does. And so begins a cat-and-mouse game that is at once enthralling and terrifying. Guy knows full well how repulsed he should be. Sometimes he feels nothing but hatred for Bruno, but at other times he feels a strange fascination, even a twisted kind of love. In the margin on p.146, I scribbled, “Hypocrite lecteur, mon semblable, mon frere.” This phrase, whose exact meaning I can only guess at, has haunted me ever since I studied T.S. 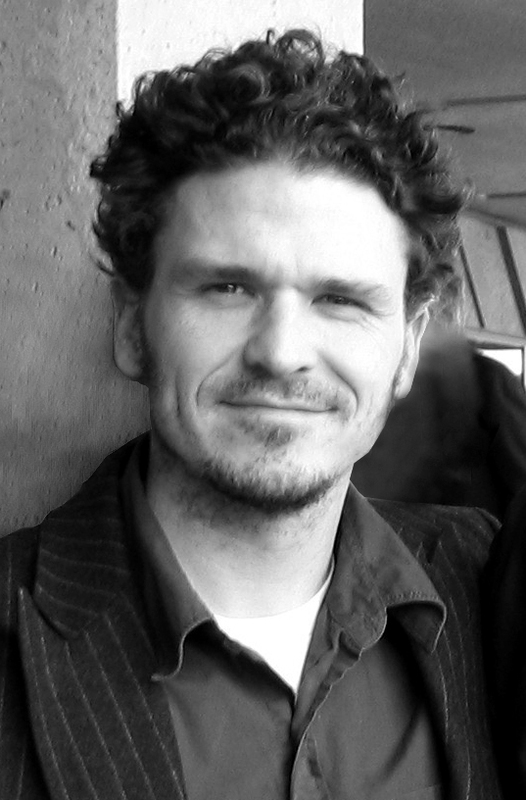 Eliot in a graduate school seminar. ( Eliot got it from the poem “Au Lecteur” by Charles Baudelaire.) As the novel progresses, the themes of doubleness and twinning emerge with increasing strength. Increasingly, the reader senses that Bruno is an externalized manifestation of Guy’s own evil impulses. “Hi,’ Bruno said softly. ‘I got in on a pass key. You’re ready now, aren’t you?’ Bruno sounded calm and tired. Guy raised himself to one elbow. Of course Bruno was there. The orangey end of his cigarette was there. ‘Yes,’ Guy said, and felt the yes had been silent, not even going out from him. It undid the knot in his head so suddenly that it hurt him. It was what he had been waiting to say, what the silence in the room had been waiting to hear. And the beasts beyond the walls. “He took the knob in his left hand, and his right moved automatically to the gun in his pocket. He felt like a machine, beyond danger and invulnerable. He had been here many, many times before, had killed him many times before, and this was only one of the times. Virtually the entire second half of Strangers on a Train is taken up with Guy’s efforts to come to grips with a new sense of himself and to find salvation in the two beacons of his life: his work, and his love for Anne. This struggle is ultimately sabotaged by his equally desperate need to rid himself of the burden of guilt that torments him without respite. We expended a great deal of effort Tuesday evening parsing the character of Guy Haines. We thought him weak and easily played upon. 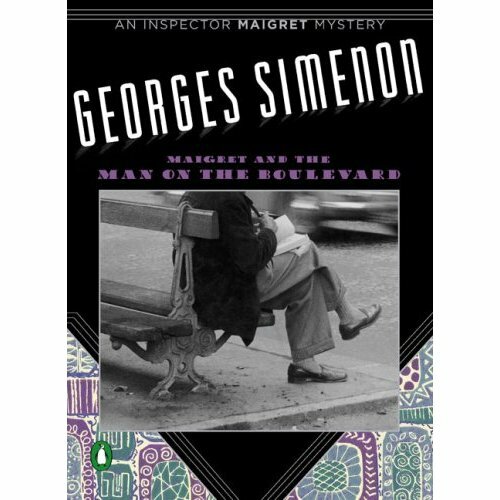 During the novel’s second half, he alternately agonizes, broods, and vacillates, thereby arousing impatience and exasperation on the part of some readers (myself included). Frances felt an urgent need to penetrate to the crux of Guy’s personality. She even had recourse to this famous – and at times controversial – reference work: ! I’m still thinking about Strangers on a Train. I am trying to fully understand Guy. So far all I have come up with is that his personality is not fully integrated in a healthy way, making him prone to self doubt and unable to take a solid moral stance when seduced and psychologically tortured by Bruno into a psychologically exhausted state which made him “ready” to do anything to get rid of Bruno. Guy’s belief in ordered thinking, whether from Plato’s philosophy of Truth or as in the ideas of the Golden Mean, are constantly undermined by the Chaos, which in this case I think is tantamount to Evil, injected by Bruno keep Guy unbalanced, conflicted and weakened. Blackmailers or sadists never give up and Bruno was both. Guy knows man is capable of good and evil yet is never strong enough to side with the Light. He never decided who he was at his core. He was not able to dismiss his dark side and live a life of rationalized pretense nor is he able to forgive himself understanding he was manipulated into murder…. Maybe he tried to think too much and should have followed his instincts that Bruno was insane and beat a hasty retreat from him. Bruno was relentless though and kept insinuating himself into Guy and later Guy and Anne’s life….. In the end, this is a sad story of two men who were lost before they even met. One wonders if Guy could have been happy with Anne and the child as Anne gives us peeks into her perception of Guy as someone who needed her and who was not a happy sort of man. Oh, well. It was a great book. I am glad I struggled with it despite my distaste of evil. It slid off the page and disturbed me just as poor Guy was disturbed by Bruno. That is no mean feat for an author to achieve. I sense Highsmith was trying to work out some of these issues in her own life. That is what I thought the long ramblings of the tortured Guy about social law, as well as the wonderings about God and creativity, lost souls and personal conscience were all about, in part, at least. They seemed very personal to me. 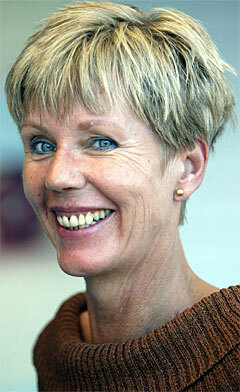 Just imagine, there she is the author of great talent yet her works are not beautiful in the classic sense. 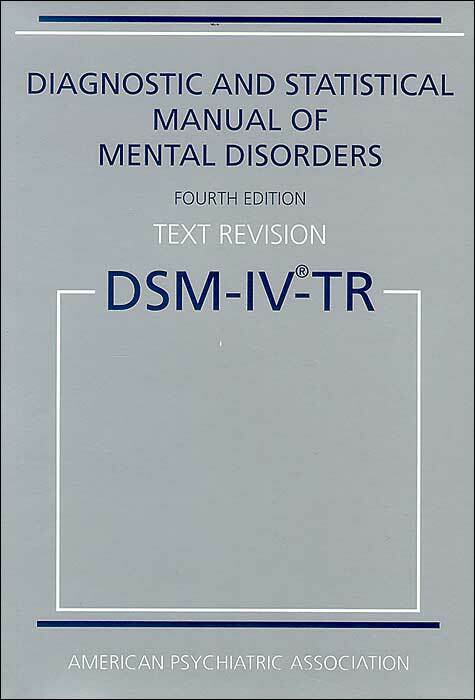 They are marred and defined by their psychological depravity and views into the mind enveloped by darkness. Was she a lost soul as well? Perhaps. 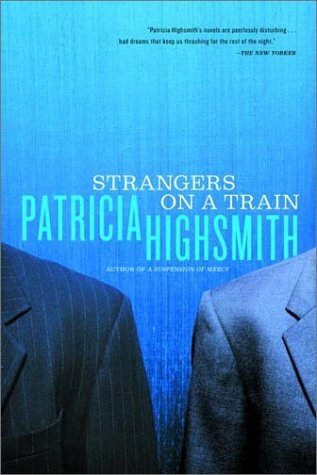 As for Patricia Highsmith and her demons – well, beginning with her troubled childhood and on into her adult life, she certainly had them. It is almost impossible to talk about the novel without also bringing the film into the discussion. Hitchcock made radical alterations in Highsmith’s narrative. Some of the changes are small: Charles Anthony Bruno’s name becomes “Bruno Anthony.” (Why, I wonder.) But there is one change that is radical: Guy sneaks into the Bruno mansion not in order to kill the paterfamilias but to warn him that his “lunatic” son is trying to arrange his murder. Hitchcock transforms Guy into a beleaguered but basically decent person, a far cry from the tormented soul in Patricia Highsmith’s novel. For those of us who were familiar with the movie but not the novel, the fact that in the latter, Guy actually carried out the murder of Bruno’s father was deeply shocking. Chris, our discussion leader, asked whether we preferred the film to the novel or vice versa. For me, they were not really comparable. Starting with a very cunning plot premise, Highsmith proceeded to write an immensely powerful psychological novel. Hitchcock’s film is a masterpiece of suspense and contains some of cinema’s most memorable scenes (the tennis match, Miriam’s murder, the out-of-control merry-go-round at the climax). But they are two distinct and different entities. In addition to those already mentioned, Strangers on a Train brings to mind other writers and literary works. 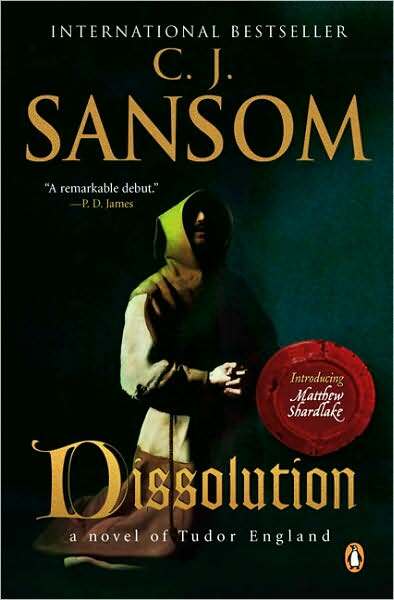 Guy’s brooding indecisiveness put me in mind of Hamlet – “Oh that this too, too solid flesh would melt….” His losing battle with the forces of evil made me think of Hawthorne – the Reverend Dimmesdale in The Scarlet Letter and even more so, some of the short stories. In tales like “The Minister’s Black Veil” and “Young Goodman Brown,” Hawthorne evokes a sense of sinfulness so dreadful it cannot even be named. The Devil lurks at the margins, waiting to spring into action. Henry James internalized this force brilliantly in the hapless, hysterical ( or is she hyper intuitive?) governess in The Turn of the Screw. 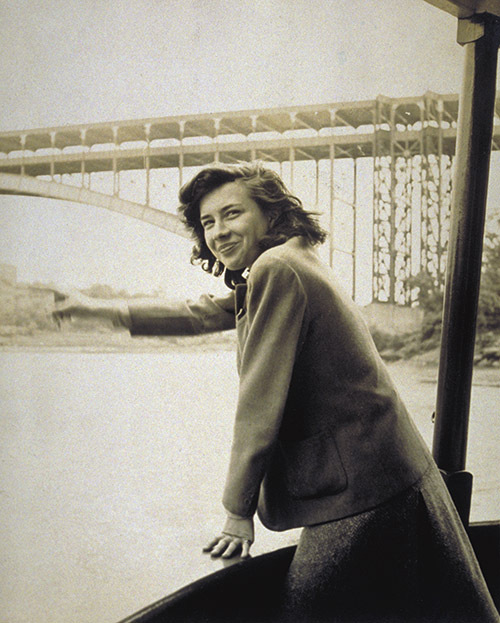 Patricia Highsmith may have been a troubled individual with her own share of negative personality traits, but one senses that her education in the liberal arts (at Barnard College) served her well. Tuesday night’s discussion was immensely enjoyable. I can thinking of nothing more invigorating than hanging out with a group of such vibrant intellectuals. It’s like being back in a college, minus the papers and exams. And the fact that all are so devoted to crime fiction gladdens my heart and heightens my respect and affection for the genre. Early on a Monday afternoon, a disabled youth with the unusual name of Ebenezer Moulton presents himself at the Micklegate Bar Police Station in York. He has come from his father’s funeral – has, in fact, walked the entire way, not an easy feat for one on crutches. So: two floods, and two murders, both separated by a period of twenty years. Suddenly DCI Hennessey and his team have their hands full. Hennessey is, as always, grateful to have such exceptionally dedicated and capable officers to work with. In addition to the aforementioned Carmen Pharoah, there’s his long time second-in-commend Somerled Yellich. Thompson Ventnor and Reginald Webster make up the rest of the team. Each of these individuals has something in his or her personal life that is distinctive: a tragedy, a weakness, a secret. We know some interesting information of this sort is soon to be imparted by the author when he telegraphs his intentions at the beginning of a chapter, e.g. 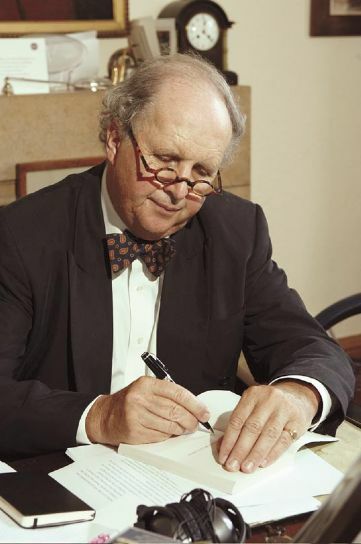 “…Reginald Webster is at home to the most charitable reader.” I find this antiquated locution quite delightful. A similar mode of expression is occasionally present in the dialog, as for instance in Hennessey’s comment in the title of this post. 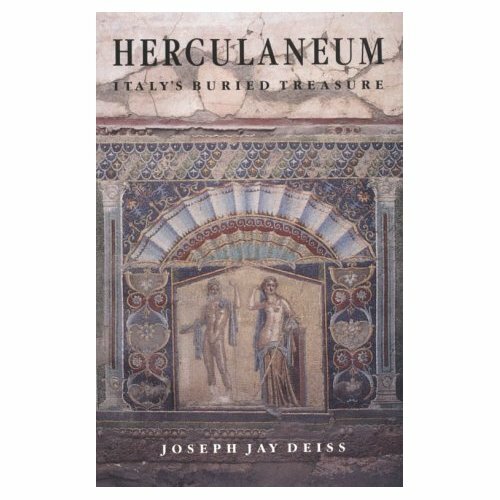 To my amazement, I find that this is the fourth book in the Hennessey / Yellich series that I’ve reviewed on this blog. The others are No Stone Unturned, Once a Biker, and Chill Factor. In the first two, I talked about the wonders of York in general, and of its glorious Minster especially. There is a scene in Turning Point that takes place in Ripon, a cathedral city not far from Harrogate, where our 2007 Smithsonian tour tour began. The cathedral itself is ancient and beautiful. (This post has the pictures we took there.) And Ripon works to hold fast to its heritage and its history. 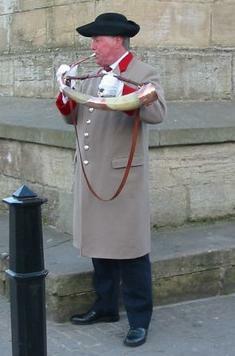 “Her home in Ripon was near the market place with its huge stone column and where the horn blower blows his horn, as a horn blower has done so for centuries, once at each corner of the square, announcing the coming of the twenty-first hour, and doing so each day of the year, including Christmas Day and no matter what the weather conditions. 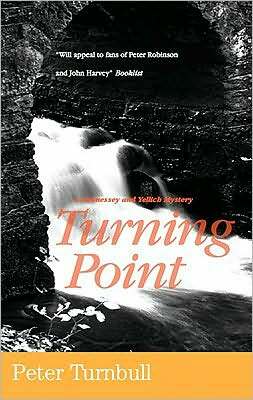 I began reading Peter Turnbull’s crime fiction with the series featuring the “P” Division in Glasgow. 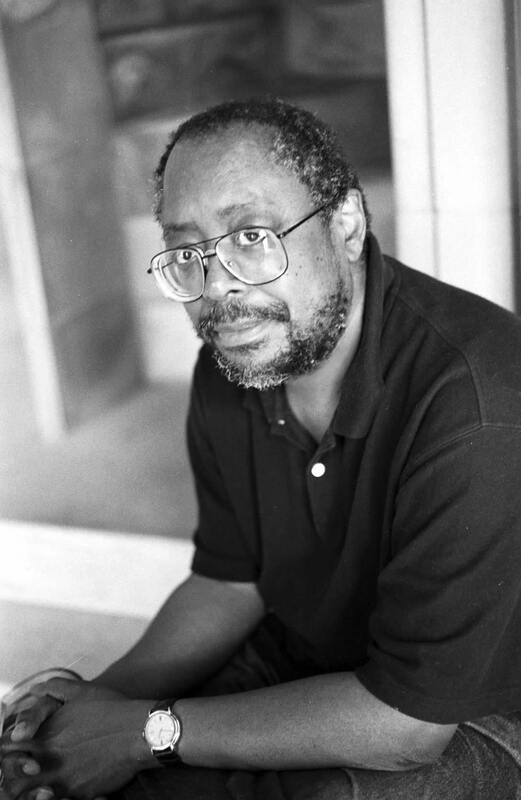 Toward the end of the 1990’s, Turnbull dropped that series and began the current one. And he turns them out at a good clip: nineteen since 1999! I’ve read about half of them. The latest is Informed Consent (2009), which follows Turning Point (2008). I’ve read about half of them. and I love them. 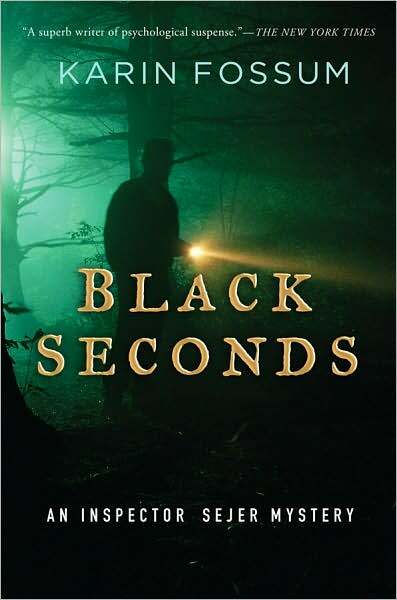 The plots are inventive, the writing is meticulous, the setting, of course, is great, and at this point I am heavily invested in the lives of Hennessey and company. Hennessey himself is inching toward retirement, though he’s reluctant (as am I, on his behalf). I find the author himself rather mysterious. I’ve searched for a recent picture of him, but I keep coming up with the one I’ve used in previous posts. (It was obtained from the site Tangled Web UK, which does not have updated information on his books.) 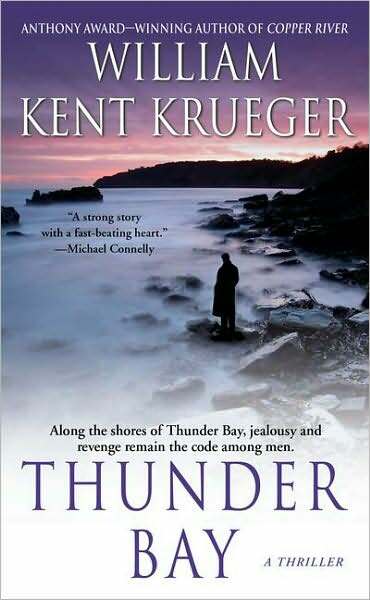 In a brief but informative essay in The Mammoth Encyclopedia of Modern Crime Fiction, compiled by Mike Ashley (2002), we learn that Peter Turnbull has a nonfiction title to his credit: The Killer Who Never Was (1996). The subject? Jack the Ripper. “Icy rain and freezing winter winds were blowing around Glasgow’s tower blocks and tenements when Peter Turnbull (1950 -) entered the city in 1977 as a young social worker. shocked and angered to learn that the community of Easterhouse had ‘more people living in it than the city of Perth – with just one shopping centre and four pubs,’ Turnbull wrote his atmospheric debut Deep and Crisp and Even (1981). “Strathclyde Regional Council, Glasgow, Scotland, social worker, 1978-95; full-time writer, 1995–. Worked as steelworker and crematorium assistant in Sheffield and London, and as a social worker in Brooklyn, NY. Here’s how the entry in the St. James Guide to Crime & Mystery Writers commences: “The crime novels of Peter Turnbull are reassuringly familiar in form, with satisfying surprises and twists in their plotting, and an interesting cast of characters.” I think it’s that quality of being “reassuringly familiar in form” that in large part keeps me coming back to this series in particular, and to the British police procedural in general.